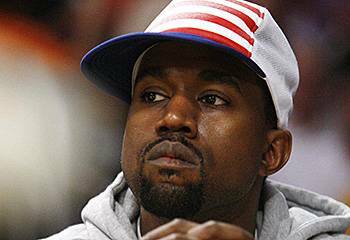 Kanye West had a metal plate inserted into his chin in 2002, after a very serious car accident that nearly killed him! The night was Wednesday October 3rd, and Kanye was driving away from a recording session in LA when the incident happened. He crashed his vehicle near the W Hotel in West Hollywood, where he was staying. The story goes that he fell asleep due to exhaustion (it was around 3am) and his car veered into oncoming traffic. Although the accident nearly killed him, it was also the best thing to happen to Kanye's career. He was already a well-established hip-hop producer, but was struggling to gain recognition as a rapper. His hospital stay allowed him the chance to reassess things, get creative, - and it was whilst his jaw was wired shut that he came up with the idea for the song 'through the wire'. The song subsequently launched his career, and was the first single from his hit album College Dropout. What Is Kanye West's Cell Phone Number? How Did West Virginia Get Its Name? When A Man Put His Sperm Into A Women Mouth Can She Get Pregnant? Why did wild west bartenders wear black armbands? Is Kanye West really a jerk? Why did people move west in America? Why do people hate Kanye West? In baseballs games, why does the umpire sometimes put his hand on the home plate's catchers back while they are both waiting for a pitcher to throw? Would you buy a $300 Sweatshirt from Kanye West's store? Someone just left buying $5,000 in clothes. I would spend 0.00 in his store. He's located in The ritzy Galleria.